Cusk is the author of 10 novels including the critically acclaimed Outline Trilogy, which includes Outline (2014), Transit (2016) and Kudos (2018). Her debut novel was Saving Agnes (1993), and other works include The Temporary (1995), The Country Life (1997), The Lucky Ones (2003), In the Fold (2005), Arlington Park (2006) and The Bradshaw Variations (2009). Cusk’s non-fiction works are A Life’s Work: On Becoming a Mother (2001), The Last Supper: A Summer in Italy (2009) and Aftermath: On Marriage and Separation (2012). 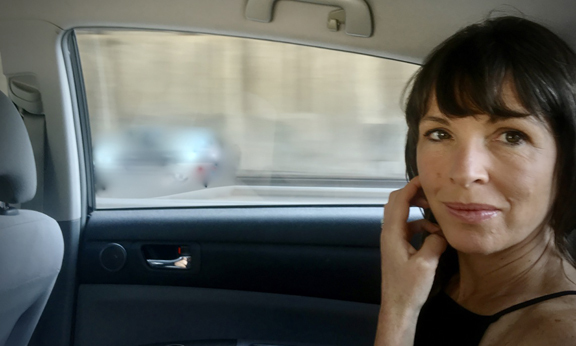 Photo of Rachel Cusk by Siemon Scamell-Katz. Her papers include materials from the 1980s to today, representing the core of her career as a writer and making clear the connections between her personal and professional lives. The materials reflect Cusk’s personal writing process in which much of her composition process occurs in her mind. This process is revealed within 16 notebooks and in additional papers and documents. The notebooks also include teaching notes, occasional journal entries, drawings by her children, appointment details and records of everyday life. A journal containing Rachel Cusk’s notes for her 2018 novel Kudos, ca. 2017. Rachel Cusk Papers, Harry Ransom Center. She composed two of the early notebooks when she was a student traveling in Turkey and Italy. The entries reveal Cusk’s early efforts at developing her style and are accompanied by sketches of places she visited. 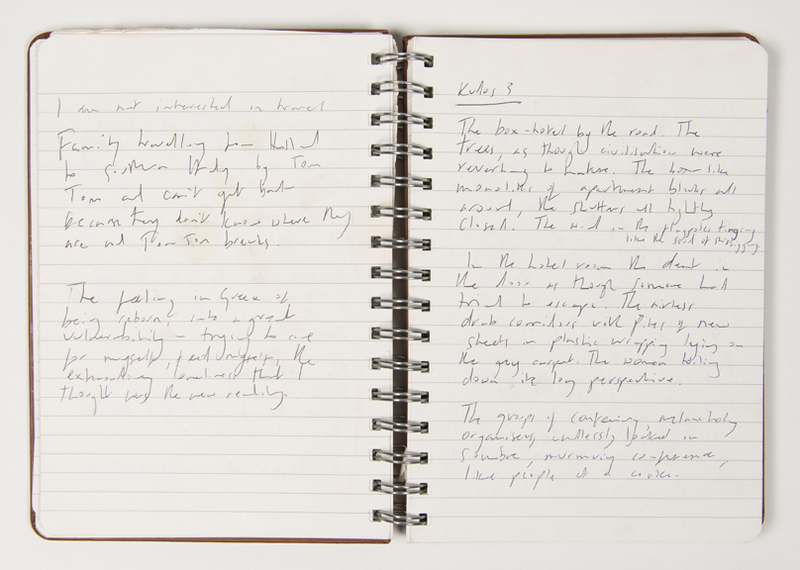 Rachel Cusk’s travel journal documenting her trip to Turkey, 1987. Rachel Cusk Papers, Harry Ransom Center. 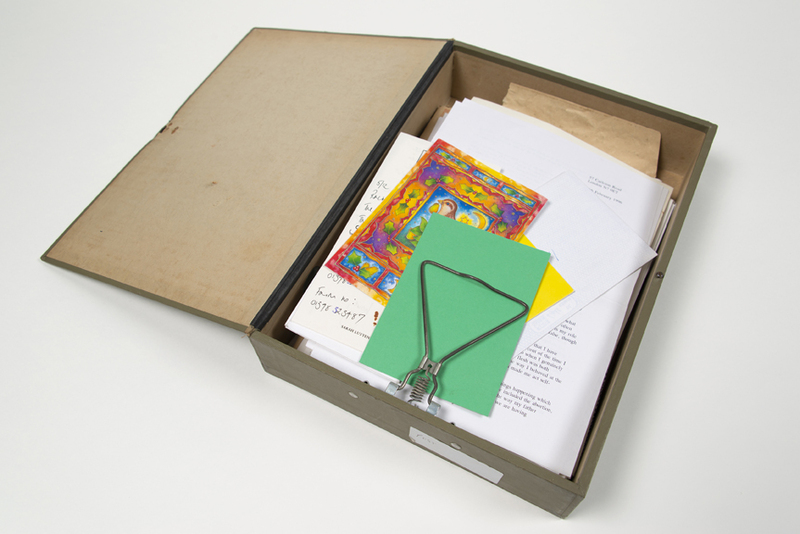 The papers include personal material, beginning with correspondence from the 1980s and ‘90s. A series of drafts and notes relating to Cusk’s version of Euripedes’ play “Medea,” which premiered at London’s Almeida Theatre in 2015, are also included in the collection as is her MacBook Pro laptop. 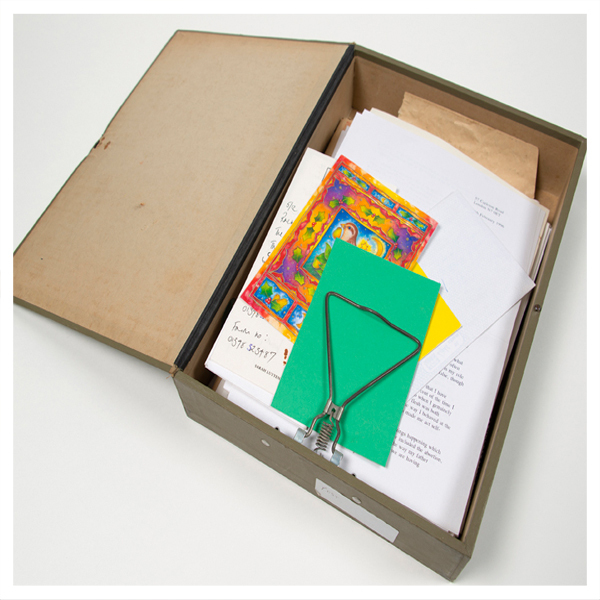 A box containing correspondence, memos, clippings and other documents, primarily dated 1995–1996. Rachel Cusk Papers, Harry Ransom Center. Cusk was named one of Granta magazine’s Best of Young Novelists in 2003 and has received numerous literary awards, including the Whitbread First Novel award in 1993 for Saving Agnes. She will be reading from Kudos, a book The New Yorker called “a breathtaking success,” on Thursday, April 11, at 6:30 p.m. at the Ransom Center. Once cataloged, the materials will be accessible at the Ransom Center.